Since we began making batteries, Crown has meant reliable. Powerful. Durable. Considered to be the longest lasting railroad batteries available, Crown Battery’s railroad starter batteries are the number one choice for the long haul. Our commitment to quality manufacturing and top-of-the-line support means our products will always get you where you need to go. 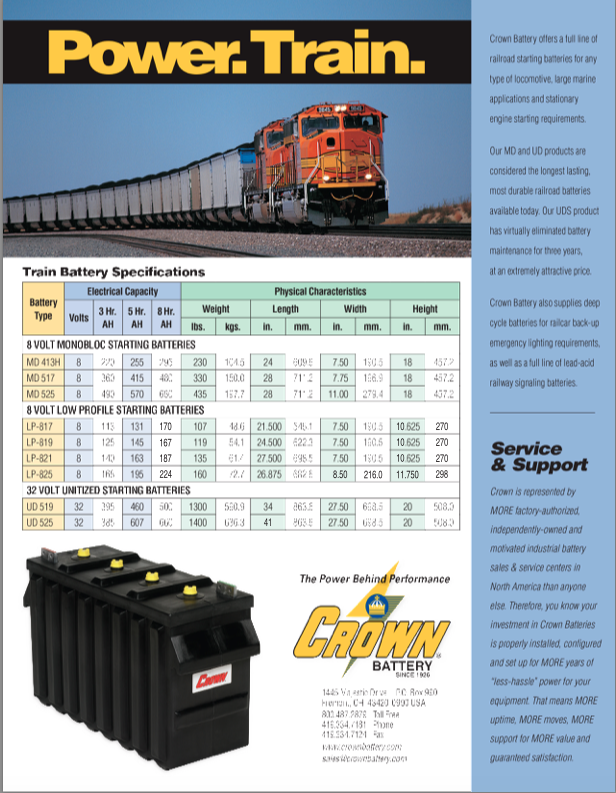 Fill out the form to download our train battery specifications.